We are the leading service provider of Brick Machine Maintenance Service to our valuable clients. We offer Brick Machine Maintenance Service to our valuable clients which is carried out in a very prompt manner by well-trained professionals that are well trained and well versed with this job. 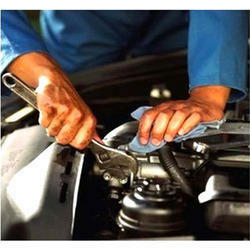 We offer an efficient service to the customers at very reasonable rates. These services are high on demand in the market and they are offered to the customers on time as per their demand.